Adora is a close fitting hat with an elegant scalloped brim. 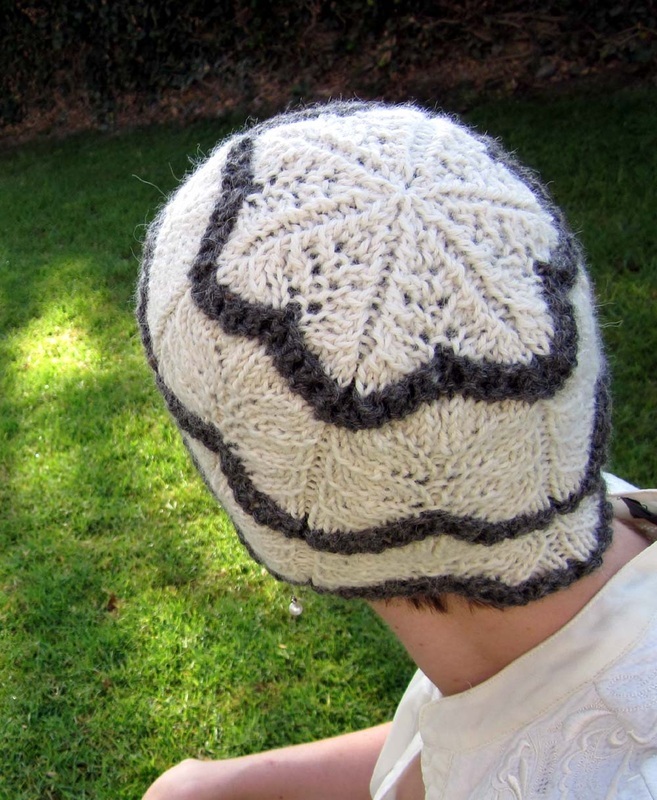 Worked in the round from the bottom up, the stitch pattern is a twin leaf with a contrasting eyelet stripe. The crown decreases bring the leaves into a pointed star shape. Model is shown wearing 18” circumference hat.